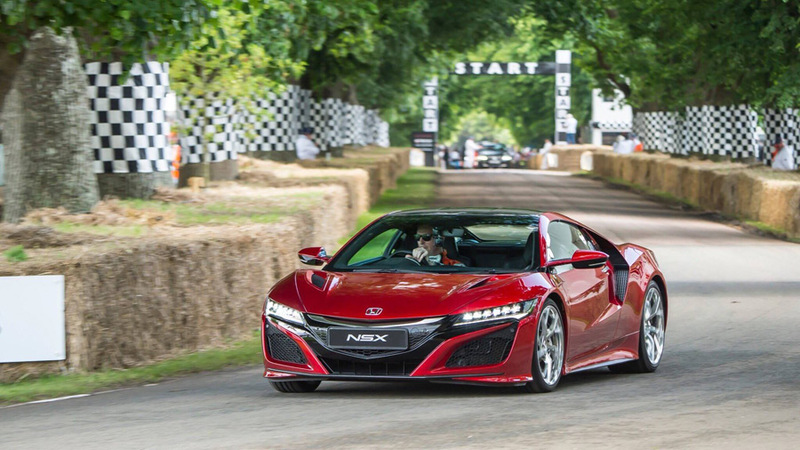 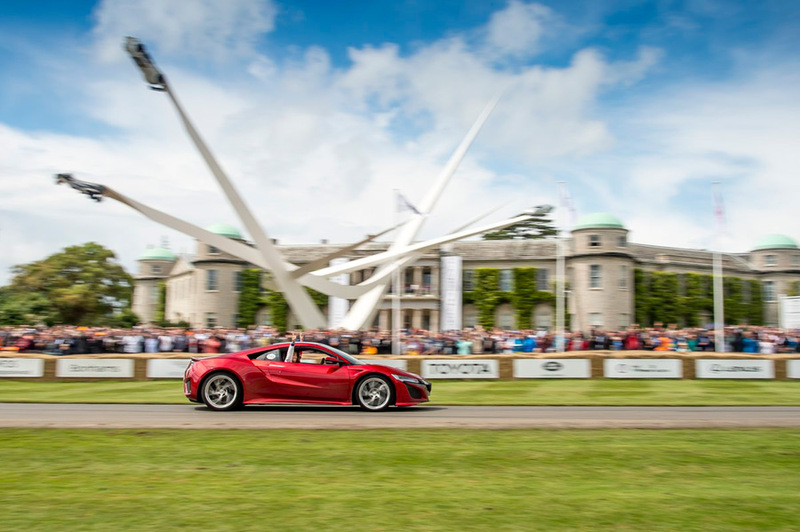 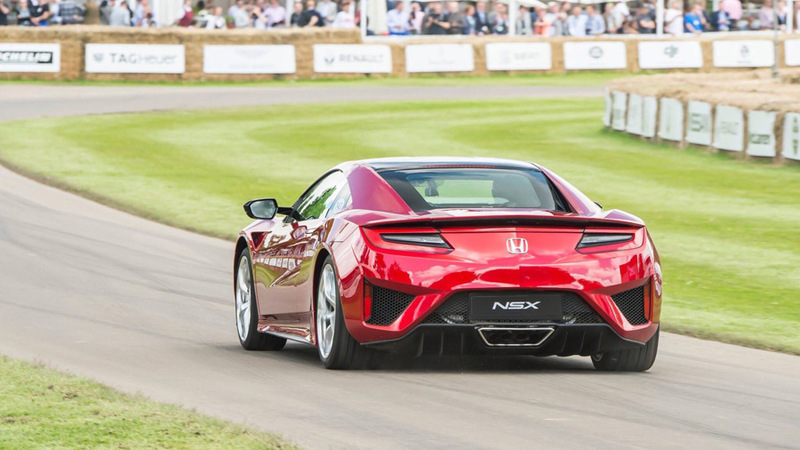 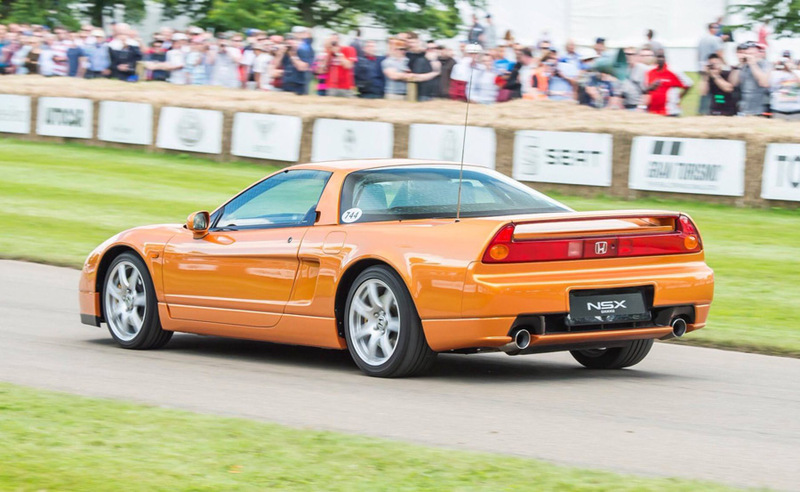 The 2017 NSX returned to the Goodwood Festival of Speed this weekend, not just on display but also as a participant at the legendary hillclimb. 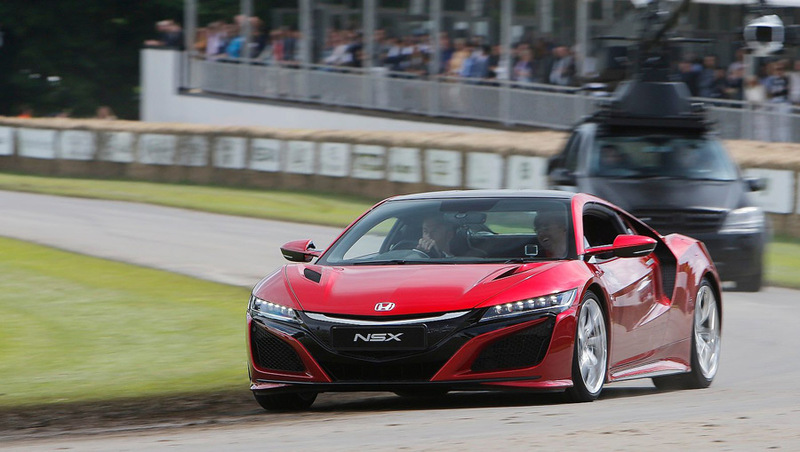 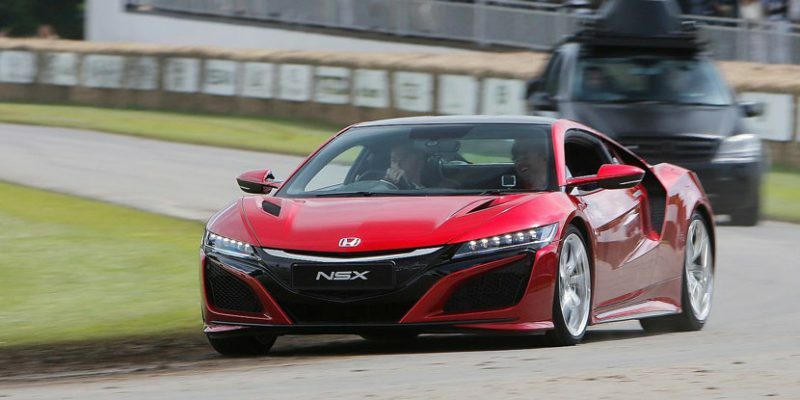 One of the highlights was a special run by British-born McLaren-Honda F1 Driver Jenson Button behind the wheel of the 2017 NSX. 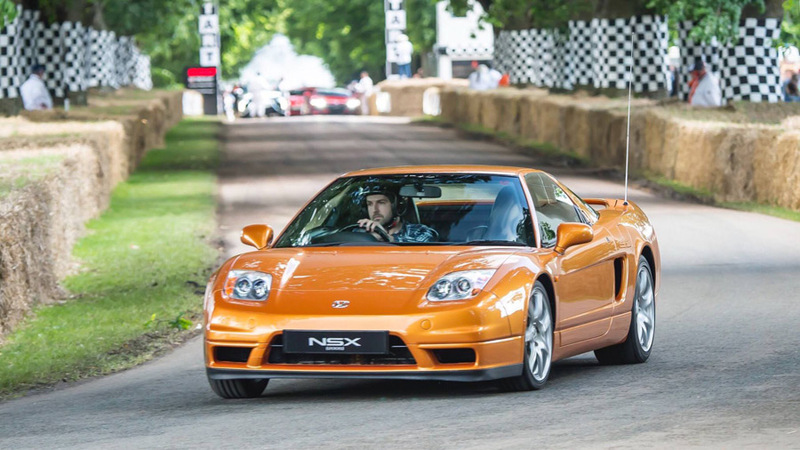 Honda also brought two first-generation NSXs that ran the hill – an Imola orange 2005 model and a red 1990 model. 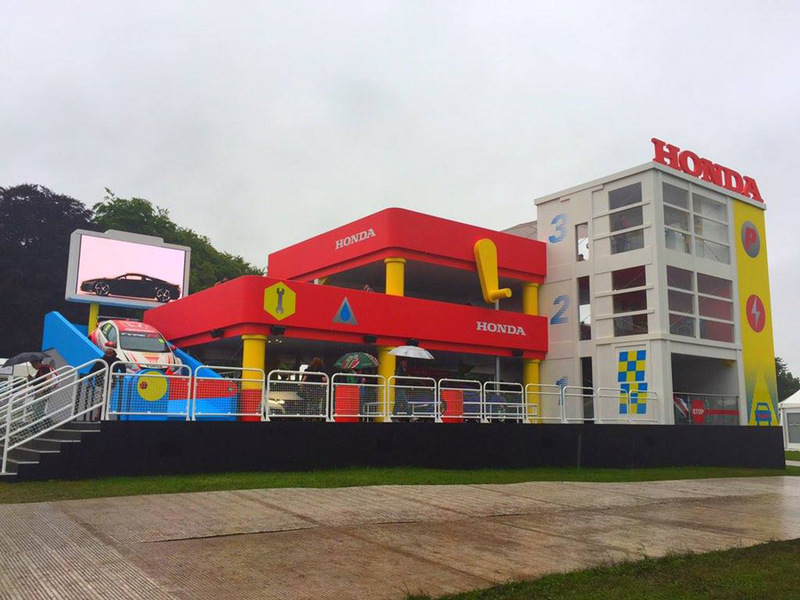 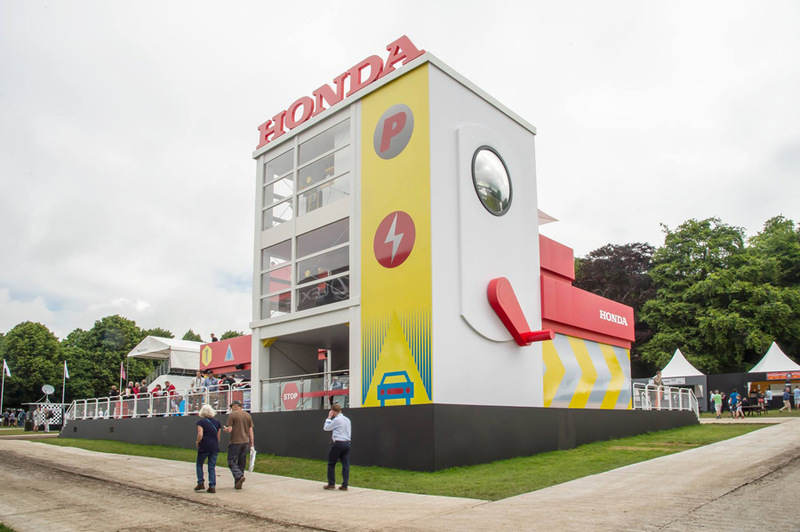 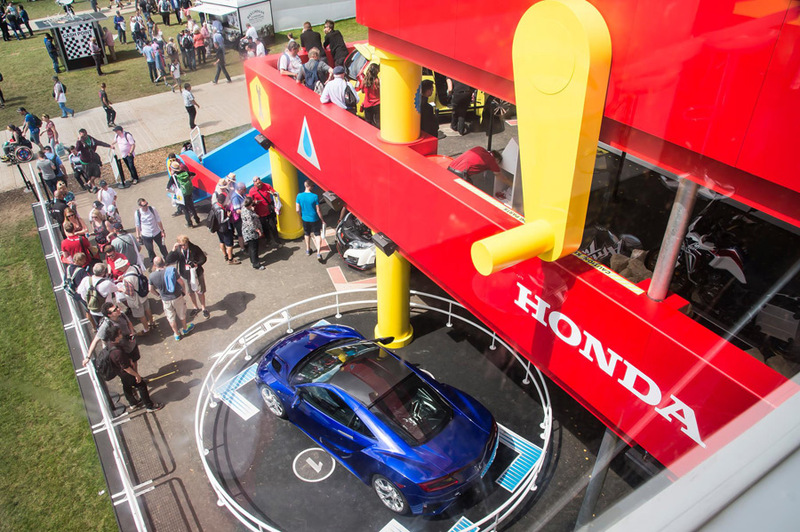 If you thought last year’s “toy box” display was neat, we think Honda UK outdid themselves with this year’s “Fisher Price toy garage”. 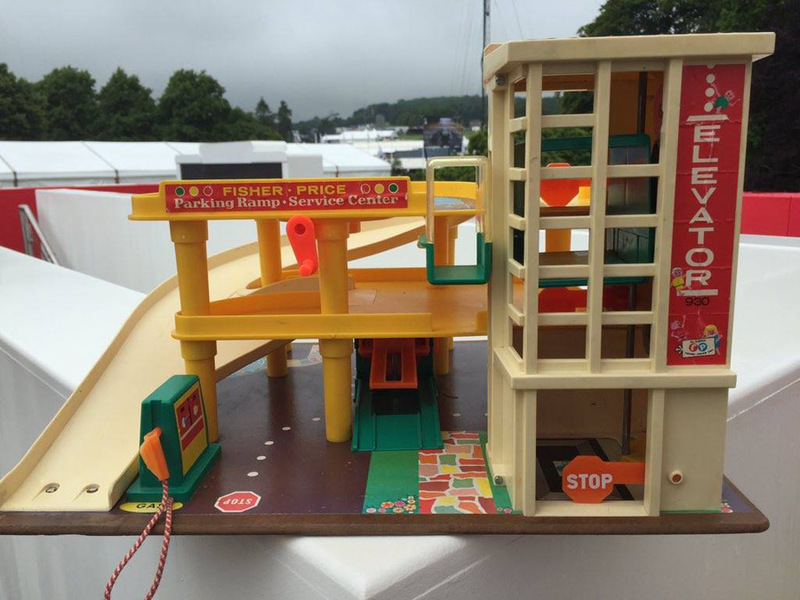 The 3-level display featured giant elements of the iconic toy – hand cranks, a ramp, and an elevator which were all non-working but still very clever as props.